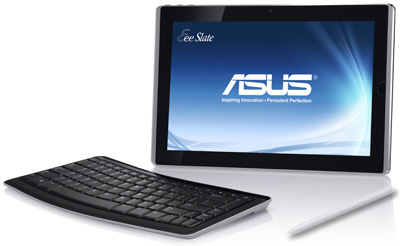 Next month the Asus Eee Slate B121 will be on sale in the United States. It’s pre-order price is $1,499. Currently it is already on sale in Switzerland. The B 121 really doesn’t offer that much more than the standard Eee Slate EP121 model. The only difference is that it comes with Windows 7 Home Premium to Professionals. 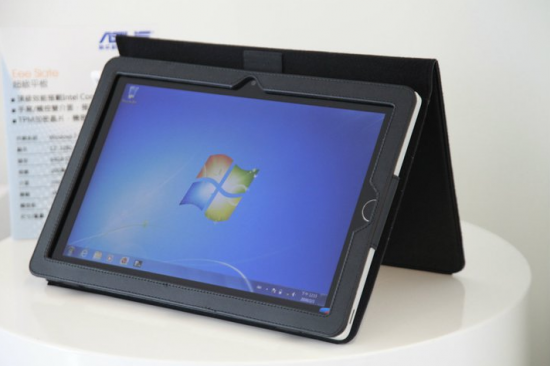 Here are the specs: 12.1″ WXGA 1280 x 800, LED Blacklight Screen, built-in high quality speakers for an excellent entertainment experience, Multiple I/O ports for your expansion needs (mini HDMI, USB, card reader), up to 4.5 Hours of Battery Life, Windows 7 Professional 64-bit preloaded, and Computrace Ready.